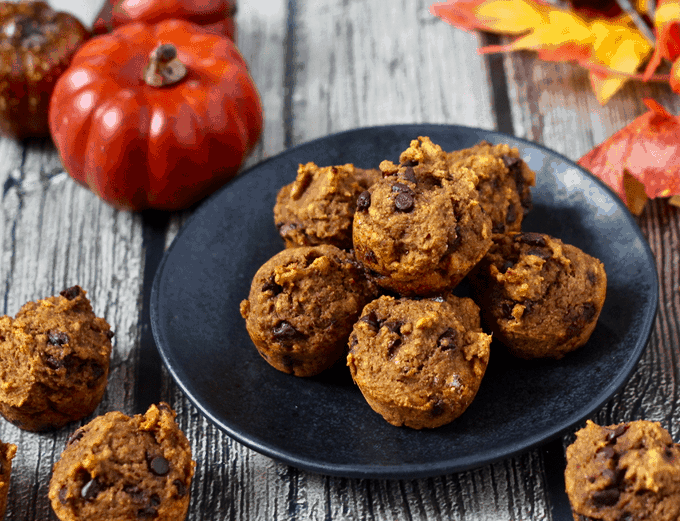 These addictive pumpkin chocolate chip mini muffins are 100% whole wheat and naturally sweetened with no oil or butter needed. 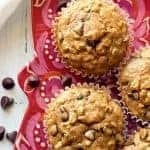 They are great for a delicious, healthy snack! We start gearing up for the season at the end of September and I’m always so ready for it to be today. October 1st! I can finally put out pumpkins on the front steps and decorate the house with leaves and gourds and maybe a spooky skeleton or two. 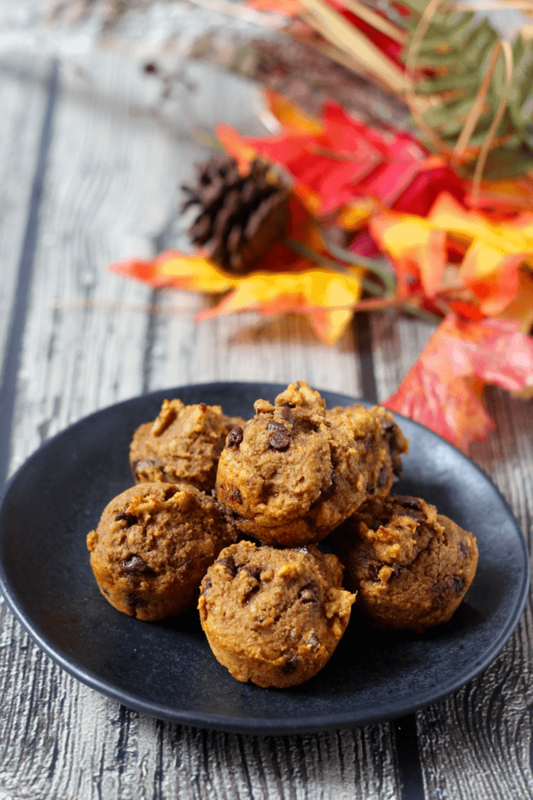 Like these insanely addictive, amazingly pop-able pumpkin chocolate chip mini muffins. I find myself reaching for one at pretty much all hours of the day. And why not? 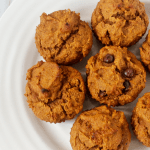 They’re completely whole wheat, have pumpkin and applesauce and are naturally sweetened with honey. No oil or butter here at all. I use white whole wheat flour in my baking, but whole wheat flour or regular all-purpose flour would work here as well. I use honey as the sweetener but I think maple syrup would be fine here too. And if you need these to be vegan, you can use a flax egg as a substitute. Make sure you use pumpkin puree, NOT pumpkin pie filling. You can also make 24 mini muffins and end up with enough batter for about 3 large muffins. Those need to bake for about 20 minutes. 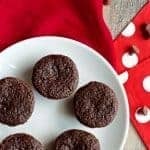 These muffins freeze great! Once cooled, I pop them into a ziptop plastic freezer bag and then they are good to store in the freezer for 3-5 months. 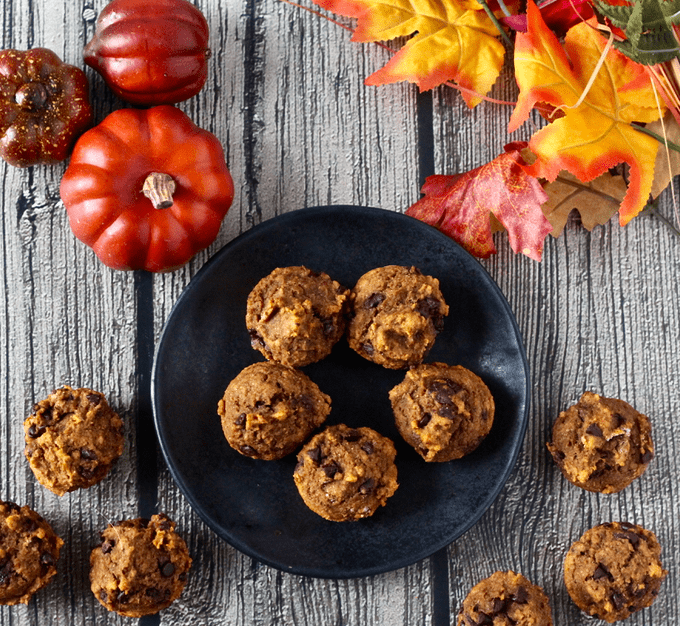 Pumpkin + chocolate + itty bitty muffins. Yes, I’m glad to see you again, October. So are my two little kiddos, who also devour these and wanted more, more more. Can’t blame ya, kids! 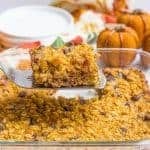 And if you’re looking for other fun fall treats, try my pumpkin baked oatmeal with chocolate chips, chocolate pumpkin granola and chocolate chip apple cake. Welcome October with me and bake up a batch of these crazy good mini muffins. Enjoy! 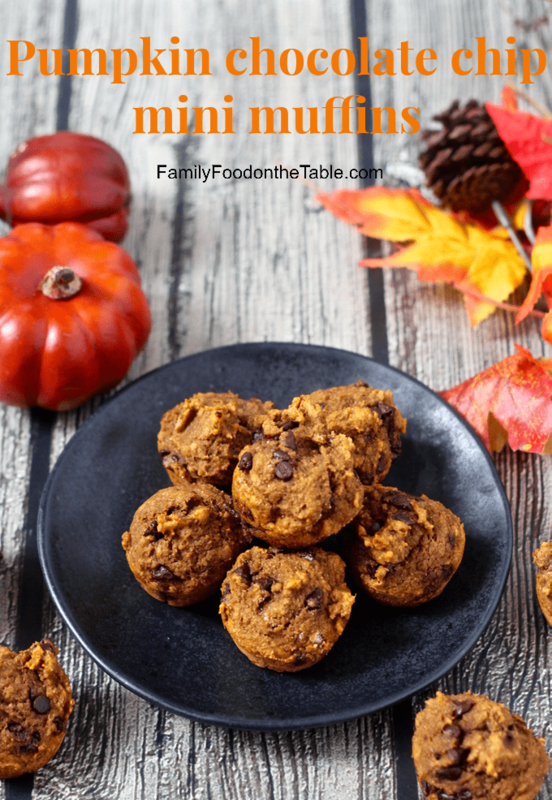 These addictive pumpkin chocolate chip mini muffins are 100% whole wheat and naturally sweetened for a delicious, healthy snack! Preaheat oven to 350. Spray mini muffin pans with cooking spray. In a large bowl, combine the flour, baking soda, salt and cinnamon. Mix well. In a separate, small bowl, combine the egg, pumpkin puree, applesauce, honey and vanilla. Mix very well. Add the wet ingredients to the dry ingredients and stir just to combine. Stir in the mini chocolate chips. Divide the batter between the mini muffin pans. Fill each muffin cup to the very top. Bake at 350 for 10-13 minutes, until done. 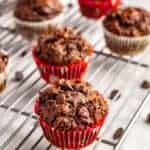 You can also make 24 mini muffins and end up with enough batter for about 3 large muffins. Those need to bake for 20 minutes. I love mini muffins! These look so perfect for Fall! 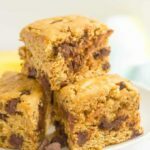 These look delicious – and so kid friendly! I bet they don’t even notice they’re somewhat healthy 🙂 I’ll have to test them on my daughter. They are very kid-friendly. Very mama-friendly too 😉 My favorite kind of treat… Hope you both love them! I love myself a good muffin! These look so flavorful and I’m a pumpkin addict so they will need to be made this fall for sure. Thank you for sharing with us at #ThrowbackThursday link party! Hope to see you again this week! Loved the flavor on these but they turned out really dry and dense for me…even after I added a touch of water to the batter. Maybe next time I need to spoon the flour into the measuring cup instead? Hi Hailey, yes, measuring the flour by spoon should help. The density can also depend on your pumpkin puree. Some cans/brands are really dense and thick and others are much more liquidy. If your pumpkin puree seems thick, you may want to add an extra 1/4 cup applesauce or water to thin it out. Hope that helps! I made regular muffins and used 1/4 c each of milk chocolate, semi-sweet chocolate and butterscotch chips. They were a-mazing! I’m so happy to hear you loved the Garfield! I love your substitution of the trip of chips – yum!